For nine years TVNZ's Top Half brought local news to Auckland and the upper North Island. In these excerpts there's a tantalising before and after glimpse of a David Bowie concert at Western Springs; the people of Ponsonby worry that their suburb's character is being lost to developers; Dylan Taite finds country rockers The Warratahs busking on Ponsonby Road; and in K Road, there is coverage of a multicultural street festival, and concerns about how encroaching sleaze is affecting local retailers; plus a cute story about a baby orangutan and a camera-shy mother. Zoo Babies - Raising Baby Iwani was a spin-off from long-running Greenstone series The Zoo. Capitalising on the cute charisma of baby animals, it highlights the inherent dramas of animal breeding programmes at zoos. 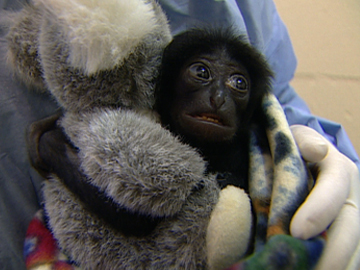 Filmed at Auckland Zoo, this documentary follows the story of surviving twin Baby Iwani, a Siamang gibbon, whose mother rejected him at six weeks of age. Senior primate keeper Christine Tintinger takes on the role of surrogate Mum, hand-raising Iwani for a year before giving him back to his mother. The documentary originally screened in two parts. 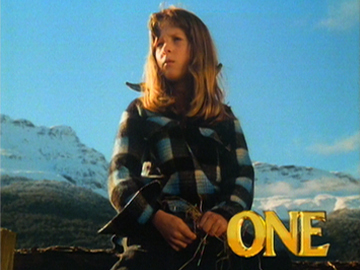 Popular Greenstone series The Zoo aired for over a decade. The show went behind the bars at Auckland Zoo to meet monkeys, rhinos, kiwi, humans, and more. A family-friendly hit, initially for TV2, it sold widely overseas. The show spawned a number of spin-offs and best of DVDs, including two Zoo Babies specials, Trent's Wild Cat Adventures — plus Two by Two at the Zoo (2005) and The Zoo: This is Your Life (2011), which each featured one animal per episode. The Zoo won the viewers' vote for Favourite Documentary Series at the TV Guide Awards, seven years running. In this episode of her TV3 series for pre-schoolers, Suzy Cato creates a farm in her garden and uses songs, stories and animations to introduce a variety of animals. Chickens cluck, a mother pig and her three piglets bathe in mud, frogs catch flies with their tongues — and one of the chickens strays into the family of frogs and has to be returned home. Meanwhile, a baby bird hatches but can't immediately find its mother, the sock puppet family is seen in all of its extended glory and Suzy keeps proceedings moving with her ebullient friendliness. Publicly screened only a handful of times, AFFCO hasn't met with universal approval. Yet for many, this Stuart Page bombshell is the pièce de résistance of NZ music video art. "It's been written that it was 'animal rights' inspired, which is incorrect. The song was written purely about some guys who 'pack meat' and the video was made in that light. I guess we got carried away wrapping David d'Ath in glad wrap, baby oil and food colouring in an upstairs room at my Freeman's Bay flat." Stuart Page CAUTION: This video contains images which may offend some viewers. One shaggy dog, dozens of humans, and a smorgasbord of Kiwi scenery: viewers were glued to the screen for this TV One promotional campaign, which began screening in August 1991. The six-part promo followed a lovable sydney silky poodle cross travelling the country by car, train and paw. En route, roughly 50 Kiwis make blink and you'll miss it appearances: including sporting figures, local townspeople, and 20+ TV personalities (see backgrounder for more info, and clues on who is who). The popular promos were directed by Lee Tamahori, before he made Once Were Warriors. This whimsical film starring New Zealand artist Michael Smither, animal wrangler Caroline Girdlestone, and cartoonist Burton Silver, documents Smither's quest to learn to fly. It is a documentary in the accepted sense but lyrical and full of surprises. Made by Wellington filmmaker Tony Hiles, edited by Jamie Selkirk (future Oscar winner for The Return of the King), and gorgeously shot on location at Farewell Spit and Wharariki Beach. Smither is well known for his idiosyncratic realist paintings, such as Rocks With Mountain. 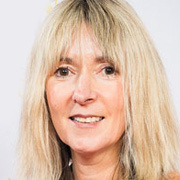 Pioneering TV programmer Bettina Hollings can list the launch of Shortland Street and being the first female to head a major local television network among her credits. 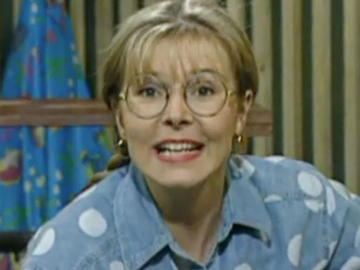 In 2000, she ‘jumped fence’ and formed Imagination Television. The company is responsible for making some of NZ’s most popular shows, including MasterChef New Zealand, New Zealand’s Got Talent and Grand Designs New Zealand. Since scoring Billy T and Chapman Tripp comedy awards as half of duo Sugar & Spice (alongside Jonathan Brugh), Jason Hoyte has applied his talents to comedy, drama and voiceover work. 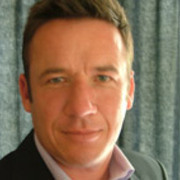 Often cast as the smooth-talking but dodgy man in a suit (Shortland Street, taxman tale We're Here to Help), Hoyte stole the screen in school satire Seven Periods with Mr Gormsby, as dodgy guidance counsellor Steve Mudgeway. 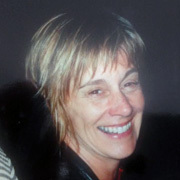 Julienne Stretton spent three decades documenting NZ people and culture for TV, as a researcher, producer and director. Her subjects have ranged from Katherine Mansfield and Hollywood actor Nola Luxford, to a young disabled couple in the groundbreaking Miles and Shelly documentaries. She researched major documentaries on Moriori and Gallipoli, and shared a 1992 Qantas Award for 60 Minutes.